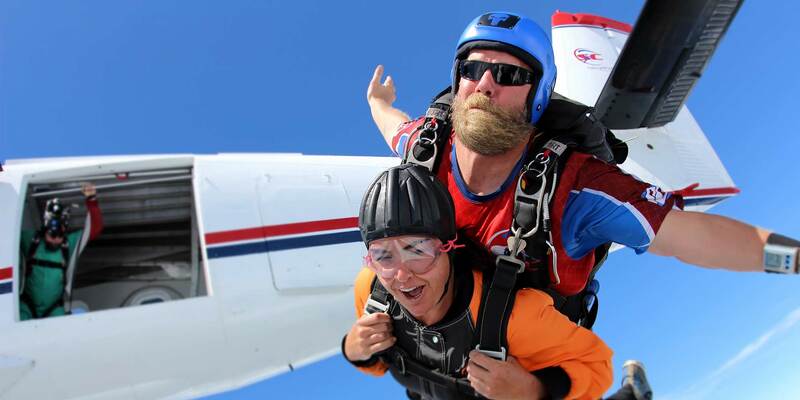 Can you make a career out of skydiving and become a professional skydiver? Most definitely! Not only can skydiving be the source of your income, but there are multiple segments within the skydiving industry you can enter dependent upon your interests and skills. The most common entry point into being a professional skydiver is via your local dropzone (skydiving center). Other entry points can involve joining the military, manufacturing or as a pilot. For the sake of this article, we’ll focus on the various positions found at a dropzone, like Skydive Carolina. These positions progress from entry level (often as a packer, through General Manager). 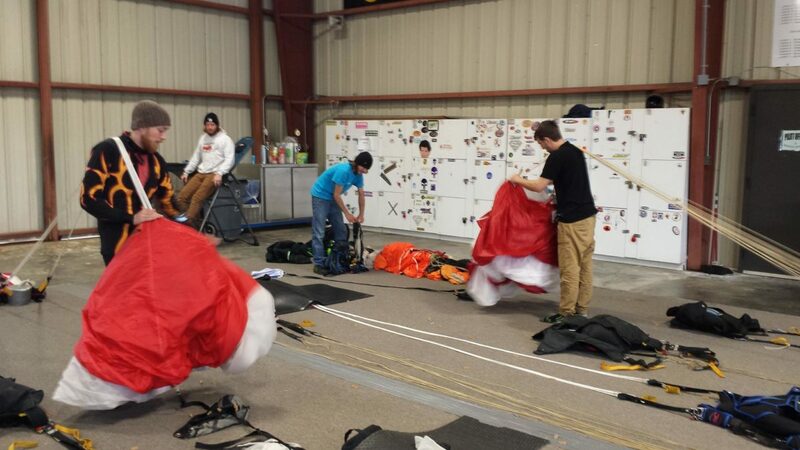 Packing parachutes is your fastest way of working within the skydiving industry and usually serves as a way to fund your new skydiving addiction! Packing parachutes isn’t rocket science though it looks intimidating. With good training, practice and patience, becoming proficient a packer is possible! Good packers who develop a clientele or who work for a busy skydiving center packing tandem parachute can make a lot of money in a day. Sometimes, packers make more than anyone else on the dropzone, but make no mistake… they earn it!!! At a busy facility, chances are, you’ll be in different states of crouching, standing and kneeling from sunup to sundown! Aside from making good money, packers tend to sleep really well at night from sheer fatigue! That said there are many who have made a career from packing parachutes and still do today. There are many different instructor ratings available with varying degrees of minimum requirements (usually based on the number of jumps). These positions can vary between being a USPA Coach, AFF-Instructor (a person who teaches people how to become a licensed skydiver), Tandem Instructor, Canopy (parachute) Coach, Wingsuit Coach and others. The most popular and lucrative instructor rating is that of the tandem instructor and many people have built skydiving careers on this single profession. Tandem instructors are in high demand (and limited supply) which presents opportunities to travel the US and the world. Many instructors will work at their local dropzone while others travel the globe jumping with first-timers representing nearly every nationality. It’s not unusual to see many international instructors in Australia and New Zealand (one of the busiest tandem skydiving countries in the world). Individuals must have a minimum of 500 jumps before they can enter tandem instructor training! In skydiving, it’s said if it’s not on video, it didn’t happen! Videographers are the stars of the sky who capture many first timers enjoying skydiving for the very first time. Highly experienced videographers like Norman Kent, Craig O’Brien and Tom Sanders have made careers out of filming commercials and Hollywood movies that include skydiving scenes. The minimum requirement to begin training with a video camera is 200 jumps. Without riggers, there wouldn’t be skydiving! Riggers are the people that keep skydivers in the air as they repack reserve parachutes (the FAA mandates that reserves be packed every 180 days) and maintain gear and maintenance from patching tears in canopies to more complex repairs the may involve the container (rig) other equipment components. Every skydiving center in the country has an office known simply as ‘manifest.’ Manifest is the nerve center of a skydiving center as it coordinates every departing flight with the right combination of skydiving students, instructors, videographers and licensed skydivers. While it may sound simple, manifest is the ultimate timekeeper and sets the rhythm and pace for the operation. Imagine coordinating 400 skydivers using five aircraft, simultaneously! Individuals who can manage manifest effectively can make a skydiving career out of it! The DZM is another term for the general manager. The DZM is responsible for the coordination between the many different departments that all must work together for a successful outcome at the end of the day which is getting everyone in the air without injury. These departments include the coordination with the school, manifest, instructional staff, packing mat and the video department! Being the DZM can be stressful (like many management positions) but carries huge reward when everyone comes together as a team. There’s nothing quite like having a beer at sunset having pleased hundreds of people! Being a pilot in the skydiving industry is an amazing way to build precious flight time with many takeoffs and landings! 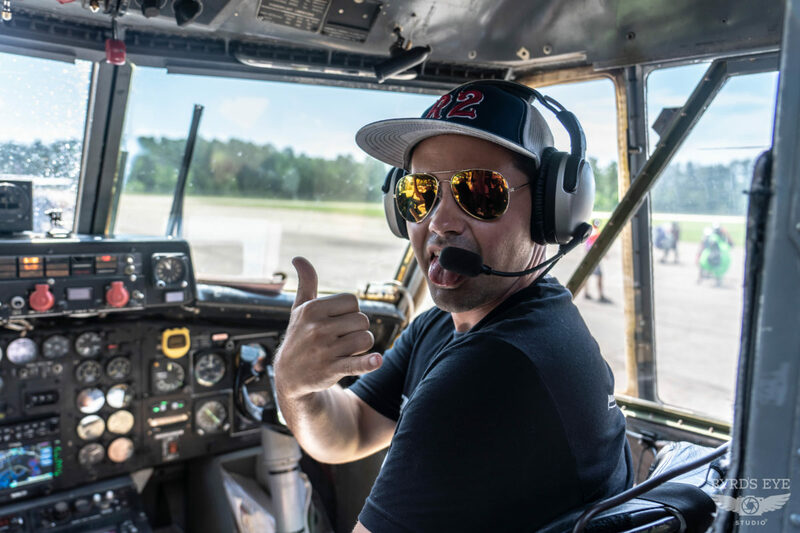 Pilots who love flying, generally love flying skydivers and for others, it can serve as a stepping stone to becoming a commercial pilot for major airlines. 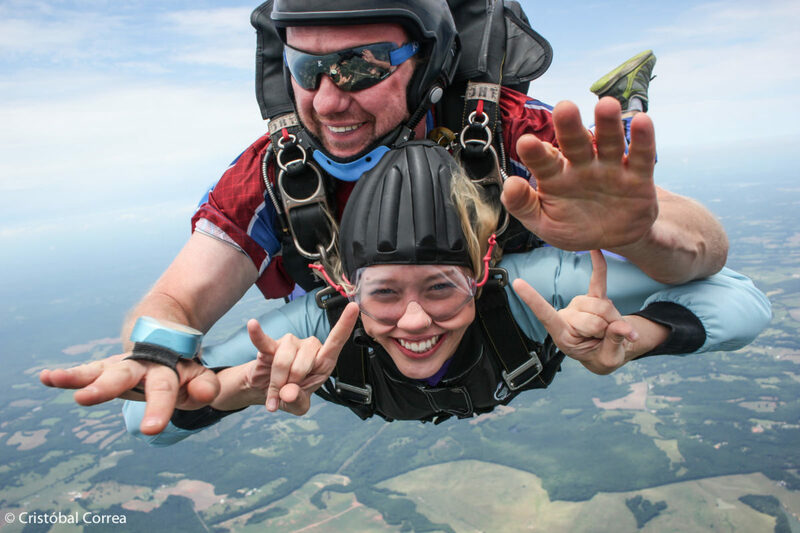 If you desire to follow a nontraditional career path, then pursuing a career in skydiving might just be for you! the people making a career out of the sport already.